Year 3 have been loving their new Science topic on 'Light'. Last week we discussed what light actually is and worked out where sources of light come from. 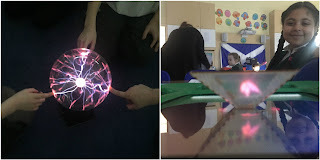 We had a class circus where the children were able to go around the class exploring different objects and deciding whether they were luminous or non-luminous. This week, we have been learning how light travels in a straight line. These lines are called “rays” and scientists use arrows to draw them. Our investigation involved shining a torch through three pin holes and we observed that the light came out at the end. "My prediction was right. The light went through the three blocks because it travels in a straight line," Ricky Donovan, Scotland Class. We finished the lesson using a transparent prism which reflects the light to make a hologram. "The hologram was very very exciting because it looked like a mini 3D animal that was flying!" Mehmet Nevzat, Scotland Class. Year 3 love the library! Year 3 were lucky enough to visit the local library this month where they were shown how to find books in the children's section. The children had to remember their alphabet and were all given a letter to get into alphabetical order. This challenged some of the pupils to think about how they would find books by certain authors in the library. After being read a fun story by the librarian, the children were able to explore the amazing range of books the library had to offer & take one book each back to school! The children were also given a membership form to take home so they have the opportunity to sign up for free to get their own library card. We hope to go back again to swap our books for new ones! Just a reminder that Scotland class and Northern Ireland class are going on their library trips this morning which are rescheduled from the bad weather in December. Scotland class will be departing school at 9.30am and arriving back by 11.30am. Northern Ireland class will be departing school at 10.30am and arriving back by 12.30pm (lunchtime). Children that are attending the Young Voices trip today will be staying in school this morning until they are due to depart. We will be concluding our topic of Traditional Tales this week by reading the story “The Three Bears”. 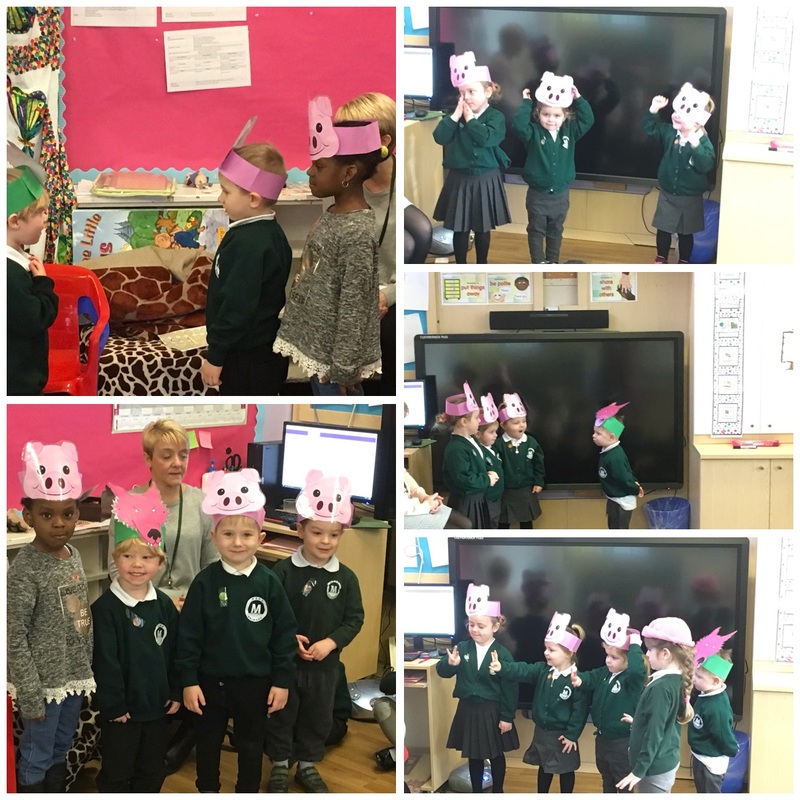 The children loved hearing the story of 'The Three Little Pigs' and fully emerged this story into their learning. Thank you for all the junk materials the children loved making houses for the pigs, This week the children will be tasting porridge and choosing their favourite toppings. We will be continuing our phonics programme Read, write Inc and in maths we will be continuing our work on weight and capacity. Please remember to bring your child’s PE kit into school as it is needed for their lesson on Wednesday. All earrings should be taken out on this day. If your child has required spare clothes in school could you please make sure they are returned as we now have no spare clothes available. 3. Find out about bears. We start the week with Y6 are out on a school trip to the Museum of London. In the afternoon, St Lucia and Jamaica are visiting the library. Tuesday 30th is a big day as we are sending a joint Federation choir to the O2 for the Young Voices event. There will be over 12,000 children singing together… it will be an experience to remember for the children. In addition to this on Tuesday, Chris Kent has organised for Barclays bank to come in to give a careers talk to Y5 & Y6. The School Council will be holding a cake sale to raise funds for the Goat that Gives Back campaign in the KS1 Playground on Wednesday afternoon at 3pm, the KS2 playground on Thursday at 3pm and the Reception playground on Monday 5th at 2.50pm. Week beginning 22nd January is Week 1 on the Havering Catering Services menu. All meals are served with unlimited salad and vegetables and cost £2.20. Congratulations to four of our Y6 pupils who won the maths cluster competition at Pyrgo this week. Ignas, Stefan, Pawel and Paris M had to solve a range of challenges in order to finish top amongst the other Harold Hill schools. We are delighted to see that all of the high quality experiences they get in class are reaping dividends! Year 2 entered the Premier League Primary Stars poetry competition last term. As we were one of the first 1000 schools to enter we were sent a book bag full of poetry books. The children wrote Acrostic poems using the words Try, Try Again. They explored how important it is to persevere and be resilient both within their learning and also whilst participating in a sport. Well done Year 2… a great prize and addition to the school library. On Tuesday Australia and New Zealand classes visited the Discover Children's Story Centre where they stepped into a magical world of forests, miniature houses, dragons and other creatures. They explored a 3D world created around the stories of the best loved children’s author, Julia Donaldson and illustrator Axel Scheffler. The children participated in a story building workshop where they created their own stories about a grumpy scaffolder and a scary fairy! The day ended in the story garden where the children were able to bring their stories to life.​ We had a fantastic time and want to thank the children for behaving so beautifully. Well done to Brazil class who had the highest attendance in Y5&6 with 96.7%. Wales & Scotland had the highest attendance in LKS2 with 97.8% and New Zealand had the highest attendance in KS1 with 96%. The overall attendance was 94.1%! The following pupils have read 10 books and receive a bookmark for their efforts, Hafsa Scimogullari, Saeeda Mulla, Lara Alves-Rodrigues, Michael Nugent, Rocco Livingstone, Alicia McLister and Alexandrina Cojan. Our Free Readers are Jacob Collins, Kai Hope, Jasmine Bennett and Mihaela Bordei. Gabriela Alves-Rodrigues, Jasmine Bennett, Chloe Wooster, Amber Coffey and Ryan Jackson have achieved Bronze Reading Awards for reading 25 books. Silver Reader awards go to Yanis Ruzibaev, Brea Cassell, and Amelia Dang Nam who have read 50 books. They each receive a silver certificate and a £5 book token for their efforts. A massive well done to this week’s Gold readers Maya Adochitei, Oliver Trinder and Kira Staniforth who have read 100 books and receive a gold certificate and a trophy for their efforts. These children have used a range of powerful vocabulary and techniques to become a Star Writer; Chloe Andreeti-Brown, Kymarni Sharon, Chanel Faulkner, Jayden Ndoko, Frankie Ballard, Kajus Krisciunas, Afnan Ahmed, Jessica Lacatus, Cameron Wingrove, Amiyah Halley, Amelia Nauthoo, Havin Colak, Mason Broad, Madison Cutts, Emma Kelly, Alexandrina Cojan, Liam Hattersley, Jaroslav Richter, Joshua Harvey, David Daniel and, Ibrahim Javed. Ollie Jordan in Jamaica for trying hard in all that he does and making the right choices. Lola Stripling in St Lucia for making a wonderful little pig house. Jake Wardell and Yazmina Ille in New Zealand for their great attitude to learning. Sophie Thompson in Australia for wonderful home learning and Muhammad Ali Raza, Filip Sychoski and Ian Alexander for moving up a book band. Kajus Krisciunas in Palau for wonderful home learning. Sulejman Dreni, Lukas Domeika and Famata Fati in Kenya for all moving up a book band. Lilyana Duke in Northern Ireland for writing 10 book reviews. Zehra Raza in Wales for searching for adverbs in her library book and collecting them for our magpie wall. Maya-Victoria Moliki in Scotland for home learning on volcanoes. Giovanna Alves Rodrigues in Germany for reading 75 books. Hannah Wright in Greece for her rainforest work. Ryan Jackson, Sophie Cross, Hana Abdin and Lewis Jackson in USA for extra poetry homework. Congratulations to the latest pupils who have achieved their Bronze awards: Aaliyah Nicholas, Teddy Gain, Jake Webb, Hayden Flower, Lena Da Silva, Hanzalah Shafique, Taylor Thompson and Zehra Raza. Silver Tracker certificates are awarded to Sonny Fiorini, Shomari Francis, Zahi Abdullah, Julia Nowak, Mia Golding, Lily-May Dedross, Cameron Danquah, Nura Aboubakari and Harvey Wettner. Riley Ince, Ellie Mann, Reggie Miller and Hektor Rimkus receive a certificate for Reciprocity. Well done to Sophiat Olojede, Benjamin Winjobi and Shay La-Roqcue who receive certificates for Resilience and Felicity Applegarth and Aidan Andretti-Brown for Resourcefulness. Well done to Anmona Sahakundu, Grace Spencer and Hayden Hampson who have presented their work beautifully. They have shown pride in their work and taken care with their handwriting and number formation. In recognition of their insatiable appetite for knowledge and ability to sniff out amazing facts the following children have been awarded certificates; Jacob Collins and Ellie Mann for their research into volcanoes and Ryan Jackson, Ricardas Saudargas, Donald Kwarteng, Lily-May Dedross and Adedeji Okunoren for finding facts about trains to put on our Fact Hunter board. 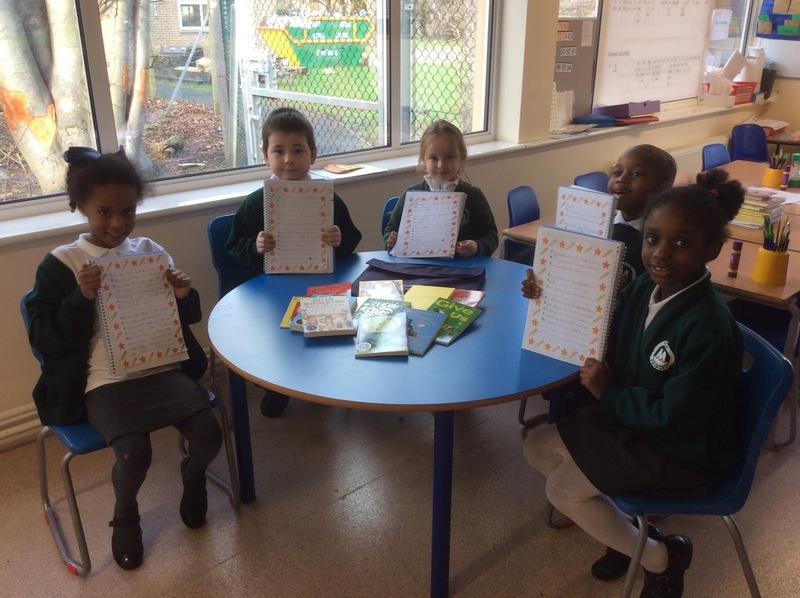 Sydney Spiers-Green, Tyrese Olayiwola and Alecia Mmor have been working hard at home and extending their knowledge through their learning challenge work. The Mead School Council will be selling cakes to raise money for the WE charity campaign The Goat that Gives Back. On Monday the school council delivered an excellent assembly to the children of Mead School highlighting the use of goats in developing countries. They discovered that because remote villages in some developing countries are very hot and dry, it is hard for the villagers to grow crops to earn money. The WE charity is campaigning to buy goats for these families. Why goats? Goats are practical animals, they like to live in harsh climates. A goat is able to provide up to 16 cups of milk a day. It's milk is easier to digest than cow’s milk and is an excellent source of calcium, protein, and other essential nutrients that growing children need. The extra milk can then be sold. Therefore a goat will enable parents to earn enough money to feed and educate their family. We can buy one goat for £30. Let's see how many goats we can buy! To raise money for this valuable cause the school council are holding some cake sales. The cakes will be 50p each and all the money will go to the charity. The school council representatives will be in the KS1 playground on Wednesday 31st January at 3pm, in the KS2 playground on Thursday 1st February at 3pm and the Reception playground on Monday 5th February at 2:50pm. Year 2 entered the Premier League Primary Stars poetry competition last term. As we were one of the first 1000 schools to enter we were sent a book bag full of poetry books. The children wrote Acrostic poems using the words Try, Try Again. They explored how important it is to persevere and be resilient both within their learning and also whilst participating in a sport. "We never say we can't do it we say we can't do it yet." Here are the spellings this week for Year 4. The children will be tested on these on Friday 2nd February. It is part of the children's homework to practice their spellings for 15 minutes every night. 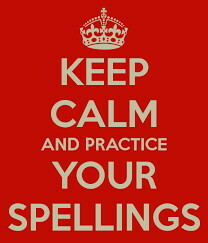 The children are asked to practise their spellings at home for 15 minutes each day. They can practise by putting the words into sentences this will help them to understand how to use each word in the correct contexts. We then encourage the children to use these words within their independent writing activities throughout the week. Children will be tested on these spellings the first Friday back. A WORLD INSIDE A BOOK! Today Australia and New Zealand classes visited the Discover Children's Story Center where they stepped into a magical world of forests, miniature houses, dragons and other creatures. We explored a 3D world created around the stories of the best loved children’s author, Julia Donaldson and illustrator Axel Scheffler. Then the children participated in a story building workshop where we created our own stories about a grumpy scaffolder and a scary fairy! We also designed our own book covers. We finished the day in the story garden where the children were able to bring their stories to life. We had a wonderful day and the children behaved impeccably. "Stick Man is hiding in the tree!" called Michael to his friends. "Look, I found a secret chamber!" exclaimed Lexi. 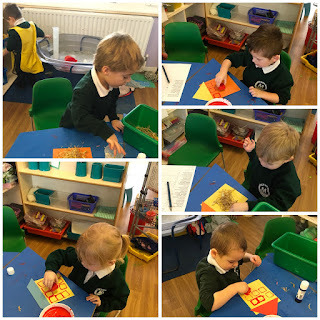 Nursery was a hive of activity last week as the children learnt about the story of `The three little pigs.` The children built houses out of straw, sticks and building bricks. 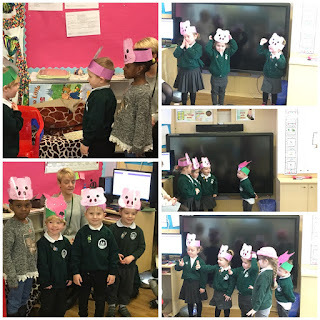 They made pig biscuits and had great fun acting out the story. There was lots of huffing and puffing and all the children seemed to want to play the part of the big bad wolf. 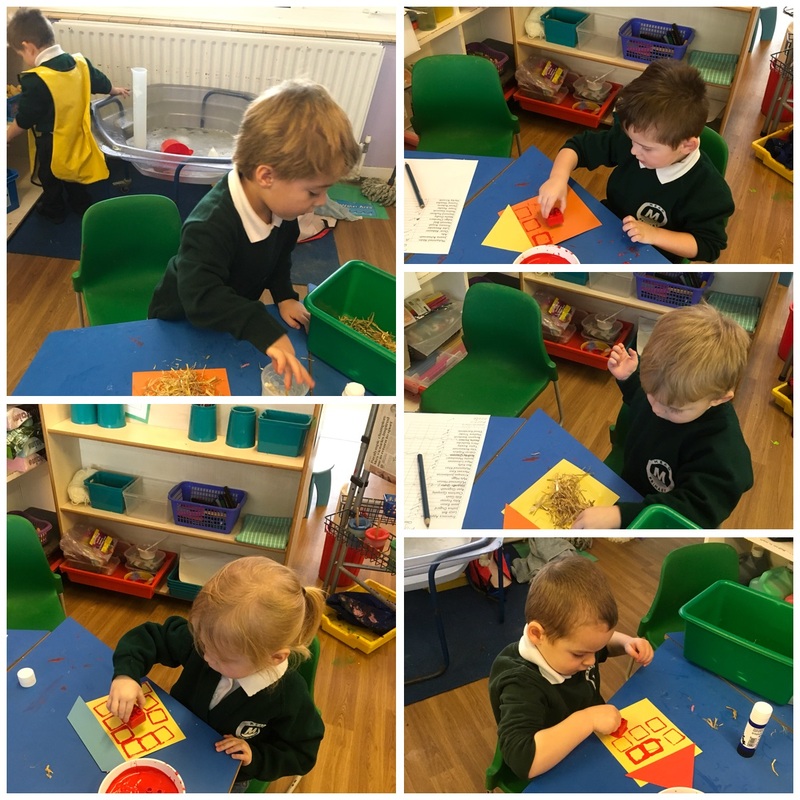 This week they are already enjoying their activities based around the story of `Goldilocks and the three bears` and are looking forward to tasting the porridge. 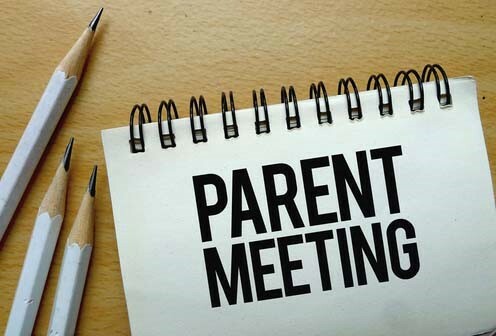 Just a reminder the Year 2 assessment meeting will be in the Infant Hall from 8:45 am. If you can please come along to discuss the end of Key Stage 1 assessment procedures. We have just received the wonderful news that Mrs Shoulders gave birth to a lovely little baby boy named Thomas this morning. He weighed 6lb and was born at 7.48 a.m. On behalf of everybody at Mead we would like to send our warmest congratulations. The children are continuing to develop the skills to count accurately. We will be practising our counting and looking at sizes of things. The children will be helping to make porridge and stirring the milk into the oats. The children will have their weekly P.E lesson and plenty of opportunity to develop their gross motor skills in the outside area. The children will be able to practise their mark making in porridge oats. At this stage mark making is a physical activity and this allows them to develop elbow and wrist control. The children will continue to have access to collage materials so they can create their own pictures. We will add junk materials for them to explore texture. Encouraging children to use simple sentences correctly. Encouraging children to hold a conversation and respond to comments. Ensuring children are able to cooperate with routines and some boundaries. Modelling the correct behaviours in play, ensuring children use resources well and begin to share with other children. Please ensure your child has a coat in school every day as we do use the outside area in all weather conditions. The Rainforest Comes to Mead!